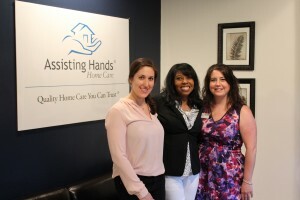 NAMPA, Idaho (May 27, 2016) — Assisting Hands Home Care today announced today that Angella Morris of Aurora, IL has signed franchise agreements for two Chicago-area franchises, resulting in the 100th franchise territory for the in-home caregiving company. 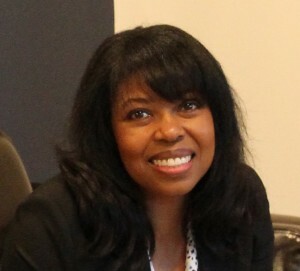 Ms. Morris is a Chicago native who joined Assisting Hands after working as a financial analyst consultant in the commercial insurance industry. 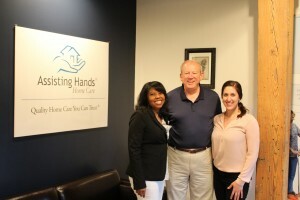 Assisting Hands started franchising in 2006, and in 2015, the company awarded more franchises than ever before. Company executives expect the growth to continue. According to the Administration on Aging, there will be about 98 million older persons in 2060, nearly twice the number of senior citizens today. 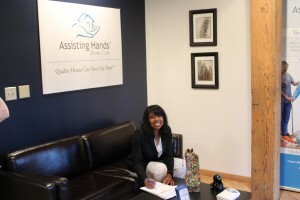 Kofoed was named president and CEO of Assisting Hands Home Care in 2011. Since that time, 66 franchises have been sold, and the company has been profitable every year. Kofoed said Assisting Hands’ extended business model appeals to entrepreneurs with both medical and non-medical backgrounds. Recent franchisees who have contributed to the growth have been educators, ambassadors and Fortune 500 executives with a head for business and a heart for helping others. Kofoed believes the company’s growth bodes well for the state of franchising in general. Morris was drawn to Assisting Hands Home Care because her 96-year-old grandmother needed in-home care. She wanted a business that would help people like her grandmother, and she wanted to make a difference in her community. Richard Ueberfluss facilitated the agreement with Morris as the Chicagoland area representative. He said roughly 15 prime territories are still available in the region.